Pony Curls! 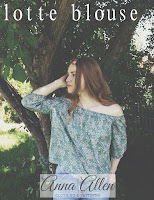 | Anna Allen Clothing Blog: Pony Curls! I discovered a new way to curl my hair and it's amazing! 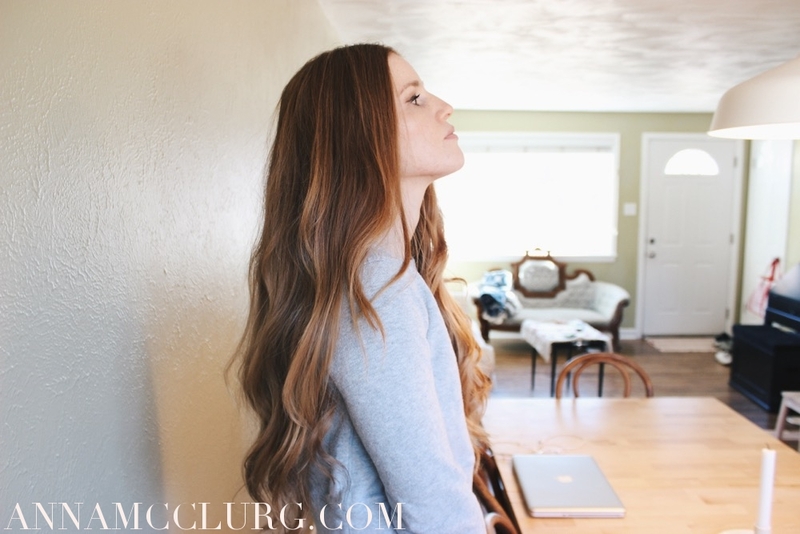 I have long, thick hair and sometimes it can be a pain curling all of it, especially the back portions. 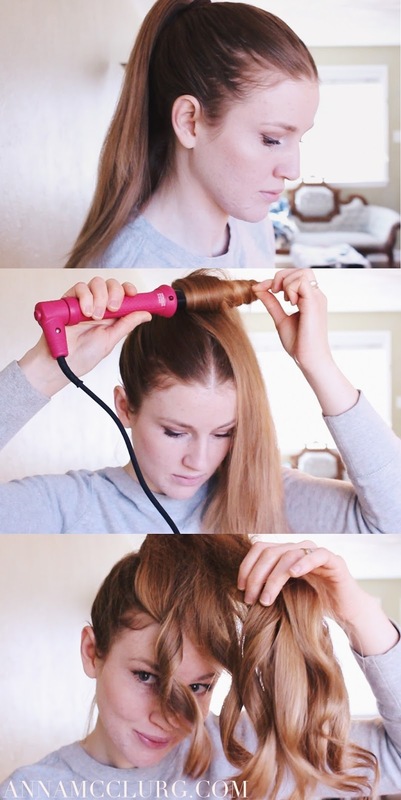 But this method makes curling a breeze. Really, it takes minutes to get the perfect messy curls. 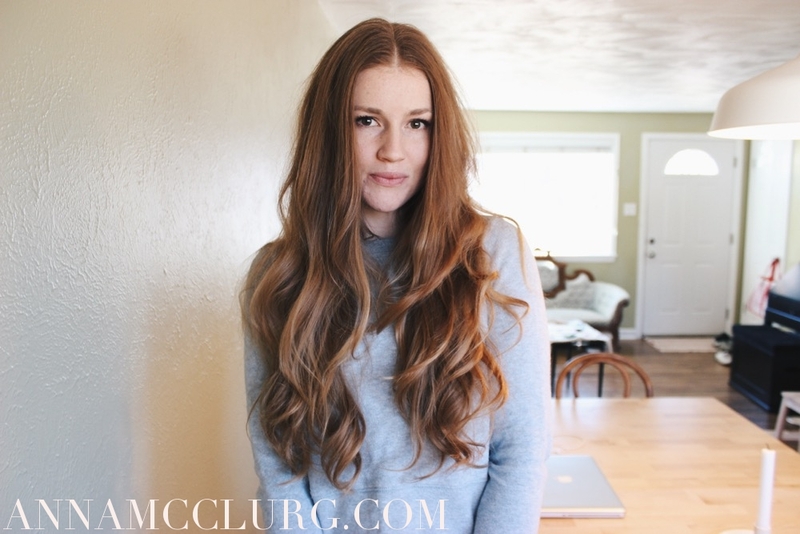 If you have medium to long hair, definitely give this a try! Step 1: Put your hair up in a ponytail. Step 2: Using a 25mm curling wand*, curl 3-6 sections of your ponytail (depending on how thick your hair is). Step 3: Let your curls completely cool and then remove your ponytail. Step 4: Shake out your hair and add some hairspray (if you like). That's all there is to it! *I purchased my curling wand from NuMe which I love. But feel free to use whichever wand you like best. In case you are interested in a NuMe wand, definitely get it when it's on sale or with a coupon code. I'll include updated links below for anyone interested. 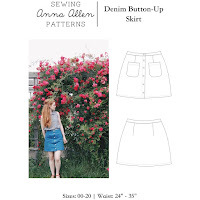 This post contains affiliate links, which means I receive a small percentage of sales if you make a purchase using these links. However, the item featured in this post was purchased by me and I was not paid to write this review/tutorial. All opinions are my own.